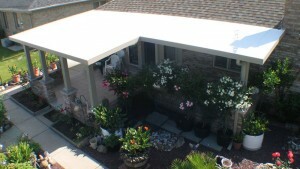 Also available from TEMO dealer U.S. Patio Systems and Home Remodeling is the TEMO Santa Fe Pavilion, an attractive pergola-like structure with a solid panel thermal roof for reliable protection against the elements. All TEMO patio covers that we sell are backed by our Lifetime Warranty. All materials are guaranteed to be free of defects for the duration of their lifetime, with roofs guaranteed to not show any defects under normal use. For more information, please contact U.S. Patio Systems and Home Remodeling, a TEMO patio cover dealer and leisure space specialization company serving Des Moines, Iowa.